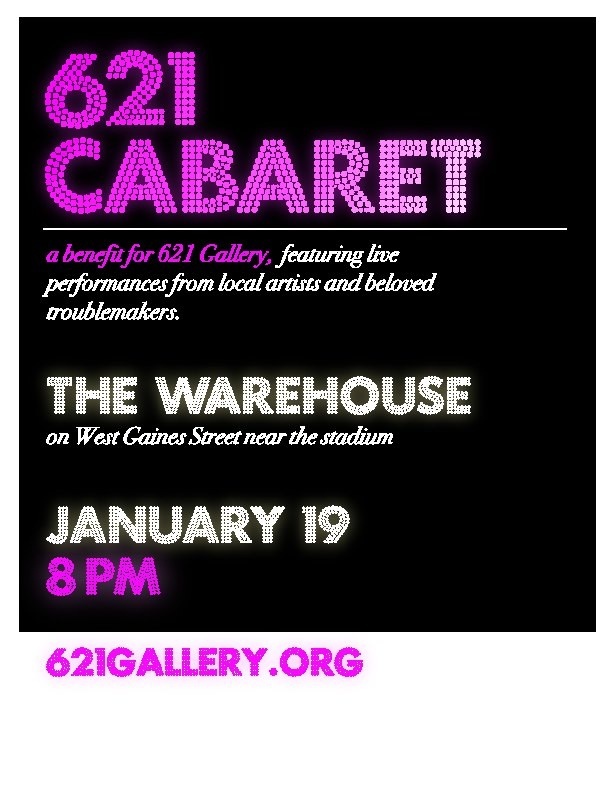 621 Gallery is holding a CABARET at the Warehouse on Gaines St. on Saturday, Jan 19. Doors open at 7:30, show starts at 8pm, $10 admission. There will be lots of wild performances by a variety of beloved troublemakers. We hope to see you there!